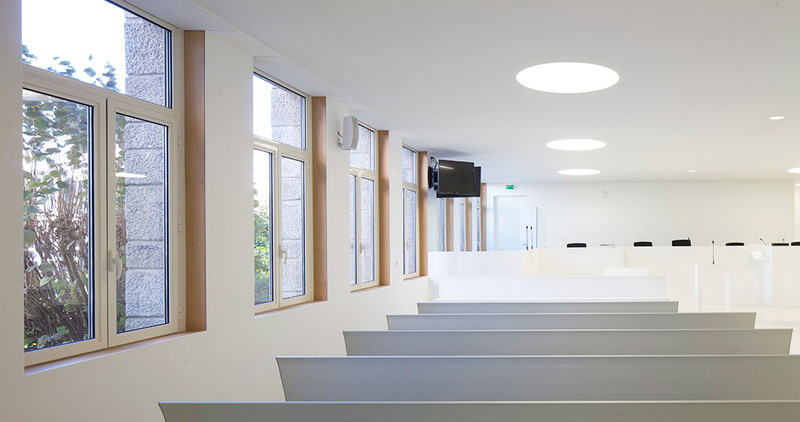 The Crown Court in Lorient, in the north east of France has recently been renovated. 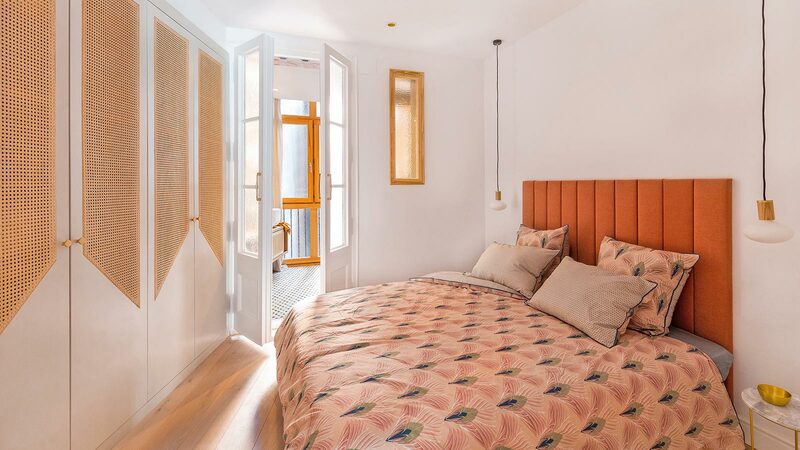 The project has been headed-up by the Mûrisserie Parent+Rachdi architectural studio in Nantes, who have relied on the PORCELANOSA Grupo for the design of one of the courtrooms. 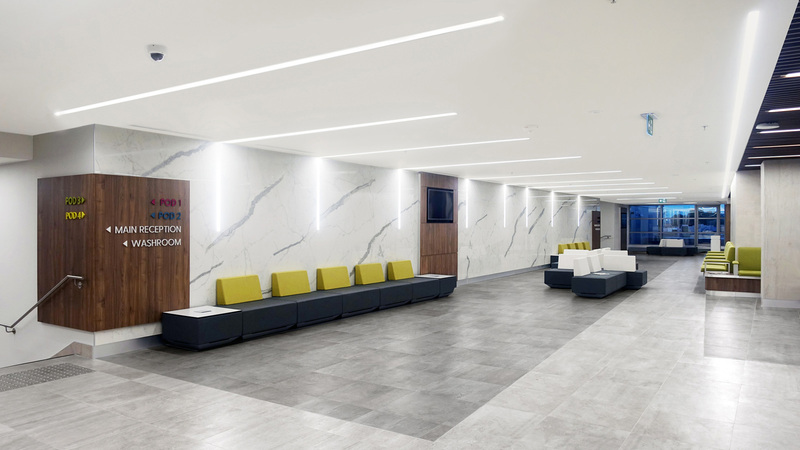 In particular, the material chosen has been the KRION® Solid Surface compact mineral, which thanks to its star colour, the 1100 KRION® Snow White, it has made creating a homogeneous and pure white space possible. 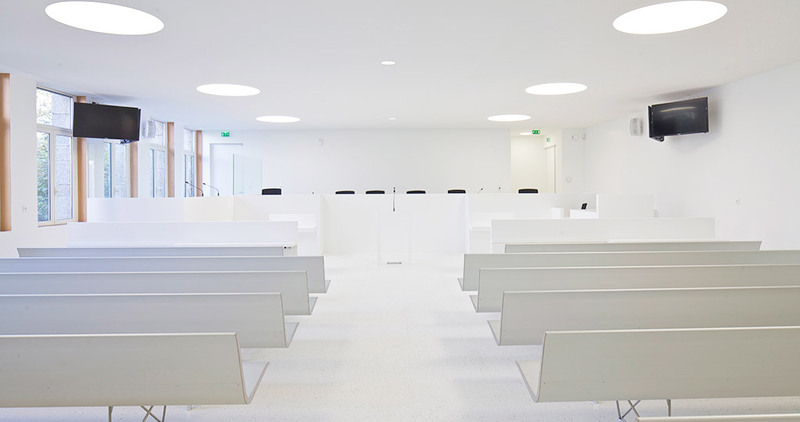 The studio’s objective was to conceive a modern courtroom with a milky inspired feel, which plunges those attending or present into an amazing world, which seems neither cold or unfriendly. 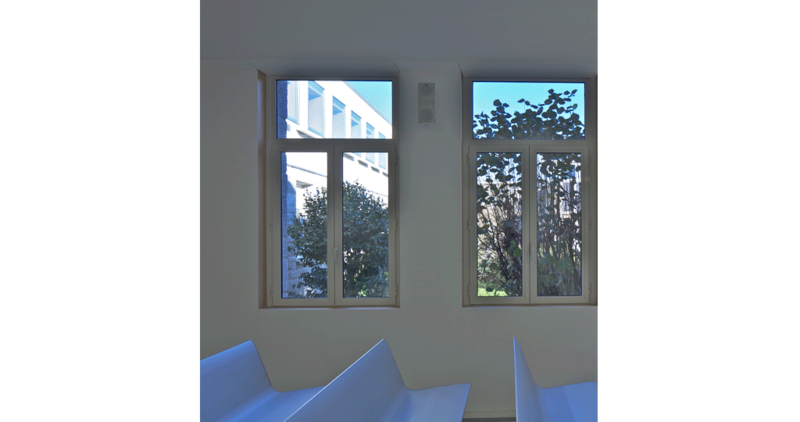 They wanted to convey, from the courtroom itself, that essence which reveals the meaning of justice: whiteness, purity and clarity. 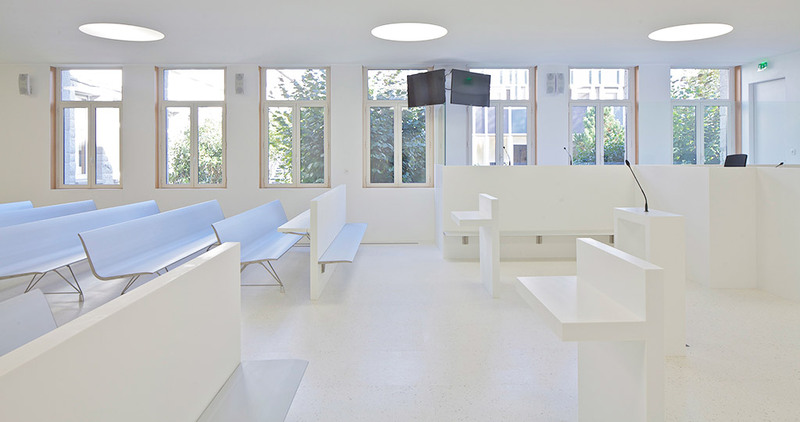 The pure white from the acrylic stone from Systempool captivated the architects, who counted on making it the furniture, the benches and the desks; apart from the typical wall tile. 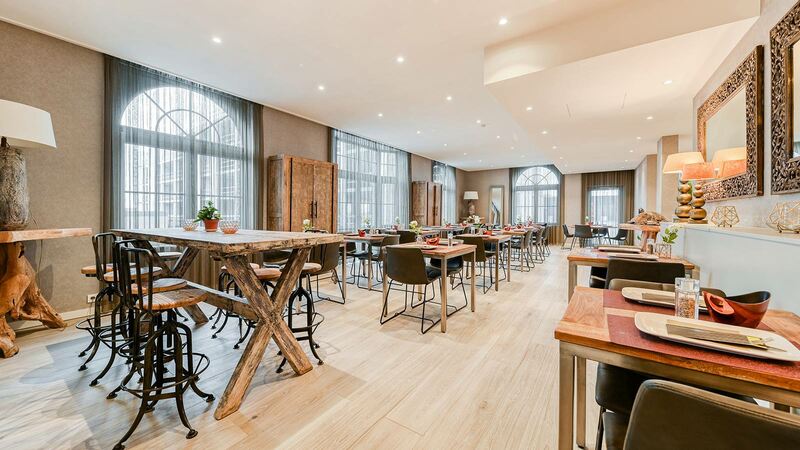 The technical issues in the courtroom were the other challenges that had to be sorted out, and at the same time, bearing in mind the access management, the number of seats, the furniture arrangement or the sound quality. 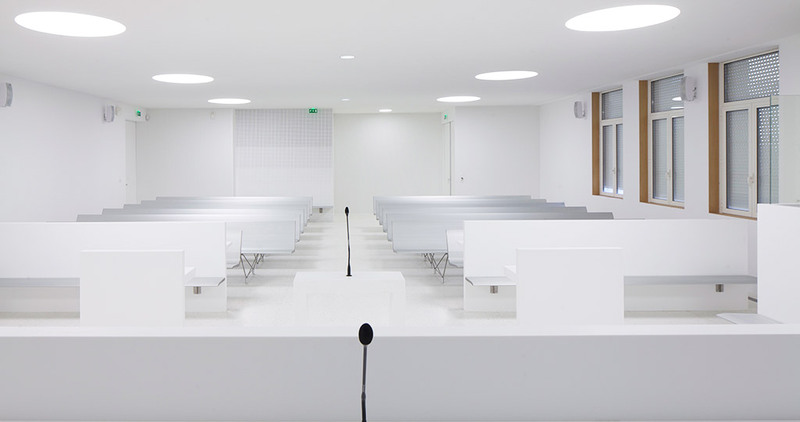 The solution, as far as the Mûrisserie Parent+Rachdi studio was concerned, was to set out the integration of theperforated sheets at the bottom of the courtroom, which allowed for not only sound absorption but also better ventilation. 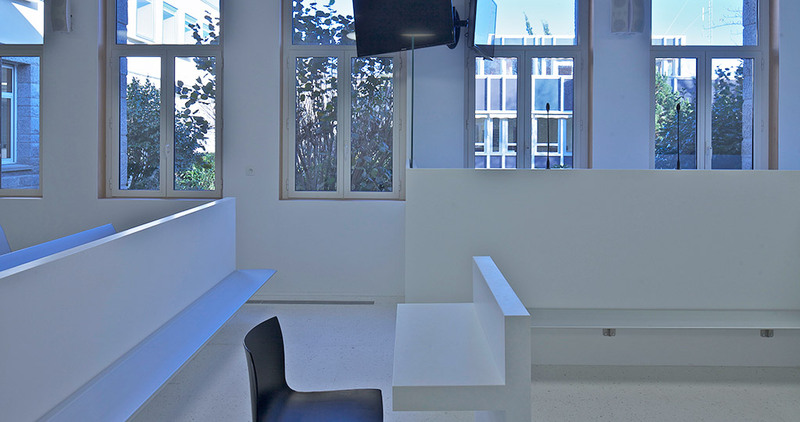 The furniture was also done with KRION®because of various reasons, such as: the possibility to create jointless designs and giving a homogeneous look to the pieces.Apart from its immaculate white, the malleability of KRION® was its durability and easy cleaning; the defining characteristic for it being chosen as the main material. 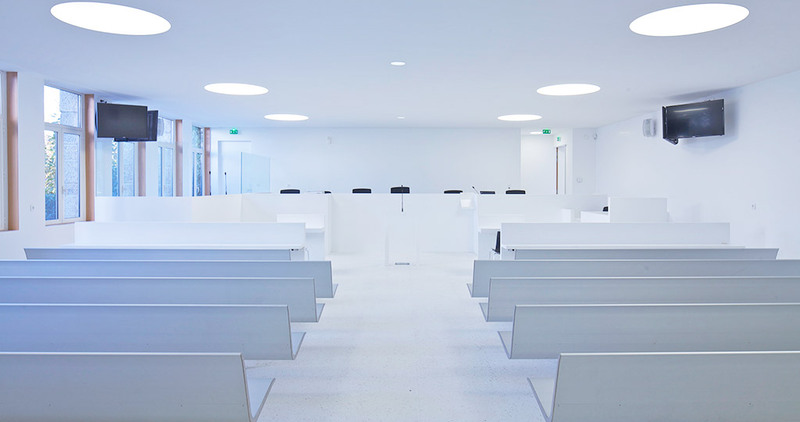 Thanks to that, the refurbished courtroom in the Crown Court in Lorient is modern, comfortable, with a cutting-edge design, as well as enjoying the very highest quality that is certified by the PORCELANOSA Grupo.